Rev. 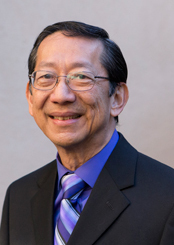 Joseph H. Lao was born of Chinese heritage in the Philippines and spent most of his adult life in the U.S.A. He graduated from MIT (Philippines) with a Chemical Engineering degree and received theological training from Fuller Theological Seminary. He joined First Evangelical Church in 1971, responded to God’s call to full time ministry in 1985, and served as Christian Education Director and Executive Pastor. 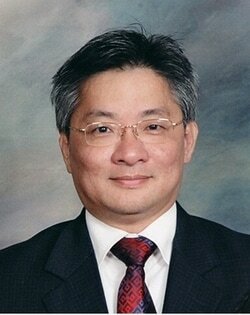 Later on, he was sent to church plant FEC Cerritos in 1988, and has been its Senior Pastor ever since. Caroline Lao is married to Rev. Joseph Lao, our Senior Pastor, for 38 years. She has supported her husband since 1988, by establishing the children ministry. They are blessed with two grown sons, Jesse and Jason. Having accepted Christ in a Christian school, her passion is to point children to Jesus and help them to have a personal and committed relationship with our Lord, Jesus Christ. She encourages the kids to read the Bible every day and cling to the foundational principles of Scriptures at a young age. She has served as a volunteer staff in this capacity for the last 20 plus years. She earned her degree from California State University, Los Angeles, and currently holds a full-time position with the Los Angeles County Department of Social Services. During her free time, Caroline enjoys walking and swimming. Her favorite Bible verse is Psalm 23 and has embraced the theme of this psalm through various journeys in her life as she looks to God as her strength for the present and hope for eternity. For more information on the Children's Ministry, click here. In his leisure Rev. Ngai enjoys strolling on sea shores, listening to the sounds of gorgeous soaring waves. He loves to listen to music for relaxation. Rev. Ngai enjoys playing table tennis and basketball, even though his skills may have tarnished somewhat without much practice. Together with his wife, Katherine, they have two adult daughters, both of whom reside outside of California, thus leaving an empty nest for mom and dad to enjoy. For more information on the Cantonese congregation, click here. Rev. 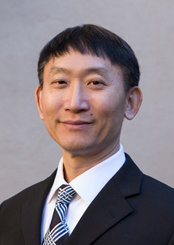 Eric Lo has been a part of the FECC family since 1989, serving as a member and deacon prior to answering the Lord's call to ministry. He attended Logos Evangelical Seminary and returned to FECC to serve as a member of the full-time pastoral staff. His favorite Bible verse is Genesis 39:2. Pastor Eric highly recommends The Purpose-Driven Life by Rick Warren. His favorite part of ministry is the opportunity to be in relationship with God's people. During his free time, Pastor Eric likes watching movies and playing ping-pong. He lives in Cerritos with his wife and has two adult daughters. For more information on the Mandarin congregation, click here. Rev. 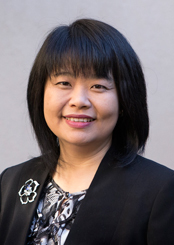 Leonard Tan has been a part of the FECC family almost from her beginning in 1988, growing up through the youth group, the adult congregations and now as full-time member of the pastoral staff. He highly recommends every believer should read Spiritual Disciplines for the Christian Life by Donald Whitney and anything by Henri Nouwen. The most important part of his ministry is being able to walk with individuals on their faith journey and helping them to see and experience God. When Len isn't at church, he enjoys following professional sports, including the ANAHEIM Angels, making and drinking coffee, and anything technology related. Pastor Leonard resides in Lakewood with his wife, daughter, and son. For more information on the Young Adult (Kairos) congregation, click here. Rev. 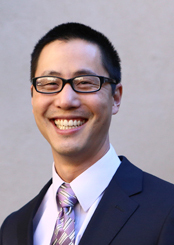 Adam Tai has been a part of the FECC family since 1995. 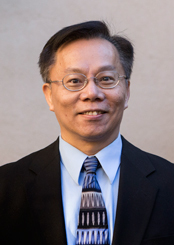 After working as a computer software professional for over 20 years, he answered God's call to ministry by attending Logos Evangelical Seminary in 2008 for his pastoral studies. He joined as a member of the full-time pastoral staff in 2012. His favorite Bible verse is Mark 1:11. One book that he would recommend for reading is Life of the Beloved by Henri Nouwen. During his free time, Pastor Adam enjoys reading, hiking, watching movies, and playing ping-pong. He lives in Fullerton with his wife and has two children in college. For more information on the Fullerton Mandarin congregation, click here. Originally from Taiwan, Pastor Maria came to the United States with her husband, Daniel, for advanced education. They first settled in Michigan in 1998. Together they have two wonderful daughters. Maria majored in journalism in college. She worked as a reporter for many years, specializing in reporting the plight of the poor in remote regions. While in graduate studies, Maria also dedicated herself in reaching many overseas Chinese students with the Christian gospel, resulting in numerous individuals’ coming to faith in Jesus Christ. After she earned a master’s degree in resource management in 2005, the family moved to California and joined FECC in 2006. Subsequently, Maria received a call from the Lord to full-time ministry. She responded affirmatively by enrolling in Logos Evangelical Seminary for further theological equipping. 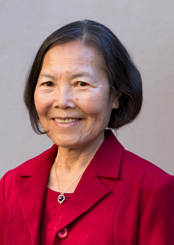 Concurrently, she also served as a seminarian intern at FECC, assisting in the reaching out to and discipling of Chinese-speaking young adults. In addition, Maria was instrumental in the development of a weekly community outreach program in FECC. Upon her graduation in 2012, Maria joined the church planting endeavor at Fullerton. In the ensuing year, the Lord directed Maria and her family to return to Michigan to begin a new church planting initiative. By the grace of God, FECC formally established a new Oakland Campus on July 6, 2014. The fulfillment of the Great Commission (Matt. 28:18-20) in making disciples of all nations remains Maria and her husband’s greatest aspiration in life. For more information on the Oakland Campus ministry, click here.